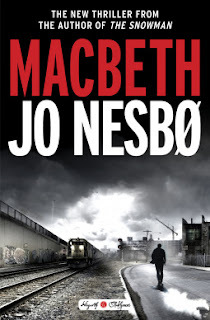 Macbeth by Jo Nesbø is a highly recommended retelling of Shakespeare's Macbeth for the Hogarth Shakespeare Series. Nesbø sets his updated version in a hopeless, gloomy industrial town during the drug wars of the 1970s. He keeps many of the original names from the play, so a comparison is easy to make. Duncan is the new chief of police, idealistic and determined to clean up the town by taking on the city's drug lord Hecate. Inspector Macbeth is the head of the SWAT team who is regarded as a natural leader, but he also has problems with addiction and craves power. Add in the other characters, three sisters/witches, and Macbeth's scheming wife, Lady, and you have the stage set for corruption, guilt, ambition, violence, greed, and murder on all sides. Assuming readers will know the plot of Shakespeare's Macbeth and have at least a little familiarity with the characters, it quickly becomes clear that Macbeth translates well to a crime novel and Nesbø is the perfect writer to tackle this play for the Hogarth series. 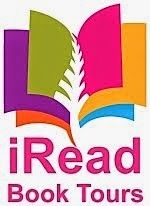 It is more violent than the play, but that is to be expected with a Nesbø novel. He is an excellent writer and I felt he did a great tackling the rewriting while keeping some of the iconic scenes. Along with the adapting the plot of the original play to a novel, Nesbø adds the descriptive passages that his other novels are well known for, setting the scenes up in his own unique way. The novel does go on a bit longer than necessarily warranted and the opening is a bit slow, but as a whole this is a successful addition to the Hogarth Shakespeare Series. Disclosure: My review copy was courtesy of Crown Archetype.